The explosion at Manchester Arena on Monday was a suicide attack, according to the chief constable of Greater Manchester police, who noted that the perpetrator acted alone in detonating an improvised explosive device that killed 22 people, including children, and injured 59 others. “The attacker, I can confirm, died at the arena. 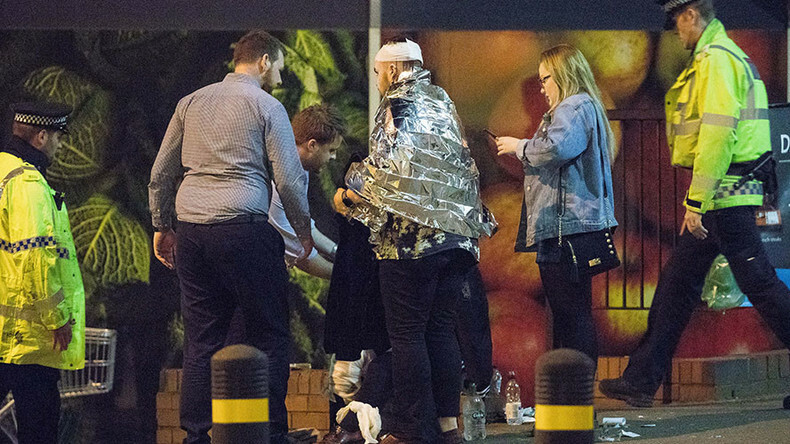 We believe the attacker was carrying an improvised explosive device which he detonated causing this atrocity,” Ian Hopkins, chief constable of Manchester police, told a news conference on Tuesday. “We believe, at this stage, the attack last night was conducted by one man,” he said, adding that an investigation is underway to establish if the man was part of a network. Meanwhile, the death toll has risen to 22 people, including children, the police chief said. Fifty-nine others were injured in the blast. The police are treating the explosion as a “terrorist incident,” Hopkins said. In light of the attack, Manchester police will deploy additional officers, including armed patrols, to ensure security in the city. Security agencies dispatched more than 400 officers to deal with the emergency last night, police said. The suicide bombing took place on Monday night at a crowded concert in Manchester, where thousands of people had gathered to listen to American singer Ariana Grande, whose music is popular with teenagers and children. The death toll makes the Manchester bombing the deadliest attack of its kind in the UK since the blast that hit London’s transport network in 2005, killing 52 people. Notably, it took place less than three weeks before a British general election scheduled for June 8. All parties taking part in the race have suspended their campaigns until further notice. UK Prime Minister Theresa May is expected to hold an emergency meeting of the government’s crisis body, known as the Cobra committee, after 9am on Tuesday. The investigation into the suicide attack will involve police counter-terrorism units, as well as the MI5, Britain’s domestic security service.